very nice card, love the idea with the scent !!! Cute card! 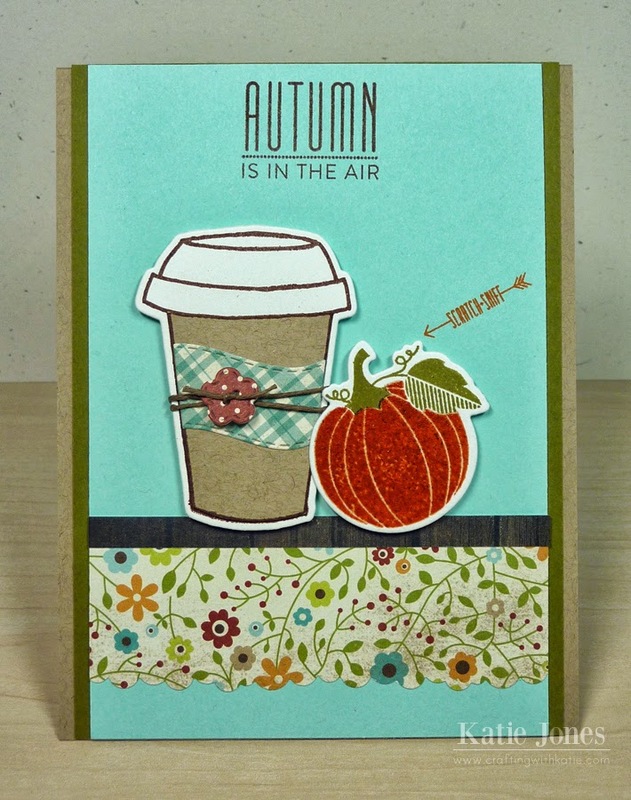 I hadn't heard of the scratch and sniff embossing, but it sounds like fun and a great way to add a little something to cards and layouts. TFS! Katie, oh my goodness this is SOOOO FUN! ohhhh, I gotta try this! TFS! Katie ~ SHUT UP!! Scratch and Sniff card! Oh my guess is it smells like pumpkin!! YUMMY!!! Well I LOVE all the details, the pumpkin, that coffee cup and of your choice of papers ~ again!!! I might have to get this ~ enabler!!! 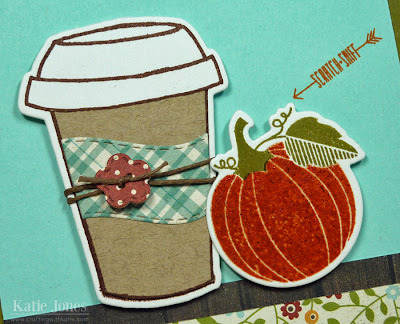 First of all, your card is very cute...love the coffee with the twine and button. The sentiment and scratch and sniff are perfect. I have not heard of this flavoring the clear emboss for a scratch N Sniff :D Ha-ha...so cool I have to try this one. What a super idea.